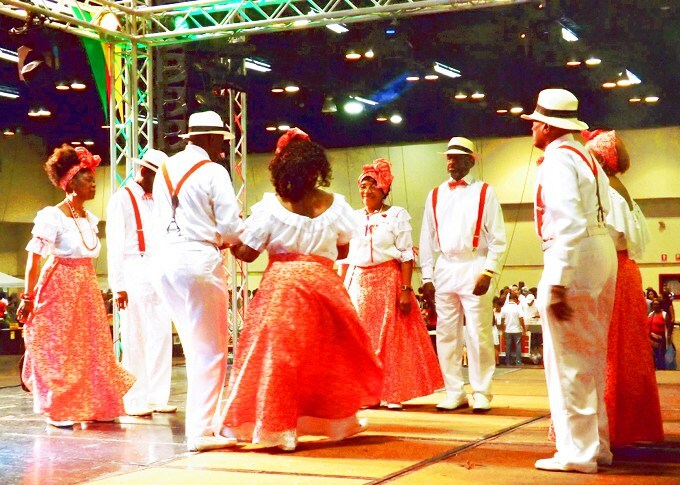 Yes, it’s about traditions, with senior citizens doing the quadrille. But it’s also about younger folks, many sorts of music and dance and the most gorgeous young queens in Panama City’s Carnival festivities. African people were brought here as slaves starting in the 16th century. The ones who stayed to do the building and the heavy lifting are hardly ever recognized. You don’t see markers on Panama’s oldest building saying that “This was built by slaves,” although invariably that is the case. Those who ran off to the jungle found Cimarron villages on a West African model are a bit better remembered in our culture. Their masks, congo dancing traditions and way of life as distinctive icons of Panama. The West Indians, however, are a different community, one that began to arrive in the middle of the 19th century with the building of the Panama Railroad. 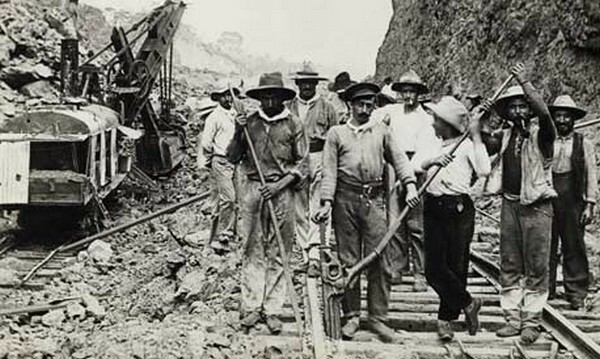 In both the French and American canal construction efforts, they provided the bulk of the work force, and to the west in Bocas and Chiriqui formed much of the crews who creaated the banana plantations. They came here mostly poor, but not as slaves and not for the most part, as some might suppose, uneducated or unskilled. Some stayed to work for the canal or the US military bases, some scattered about the planet. In Brooklyn, in London, in Kingston, in Bridgetown, in Bluefields and wherever the US Army is stationed, you can run into people who trace West Indian roots back through Panama. And over the generations people have come and gone, such that thsoe who talk about an “expat community” — meaning mostly white people from North America often living in upscale gated communities — generally won’t recognize that there are plenty of American citizens in Rio Abajo, too. Every year on Carnival Saturday and Sunday — this year from noon to 8 p.m. each day — the community gets together to celebrate. People come from abroad, some of them old folks with their grandchildren in tow to show them something of their roots, for the party. Drunken vulgarity? You can do that for Carnival, too. But the Antillean Fair is something else. Where has the community been? 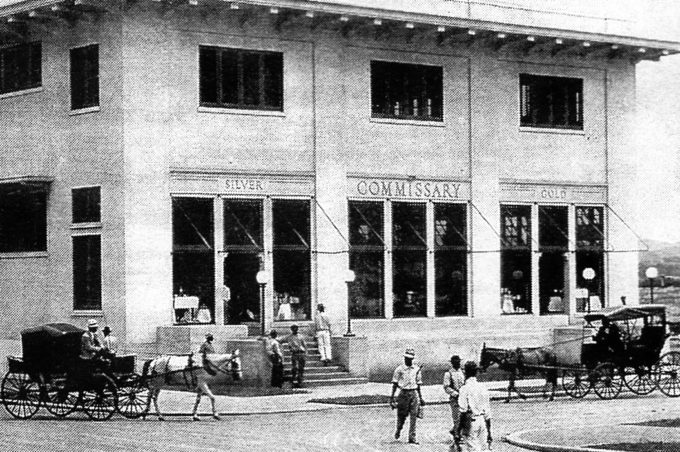 Many through a segregated Canal Zone, in which at one time black West Indians were paid in silver and white Americans in gold, and they had to shop in different parts of the commissaries. The discrimination and separation never completely ended but it did ease, mostly because of the community’s insistence but also because there were some key friends along the way — people like Dwight D. Eisenhower, who was stationed here as a US Army officer after World War I, got to know and like the Canal Zone’s Antillean community and agreed to end some of the more egregious discrimination when he became president. People like Judge Guthrie Crowe, who tried to bring a greater measure of justice into a Canal Zone system where the US Constitution did not necessarily apply. 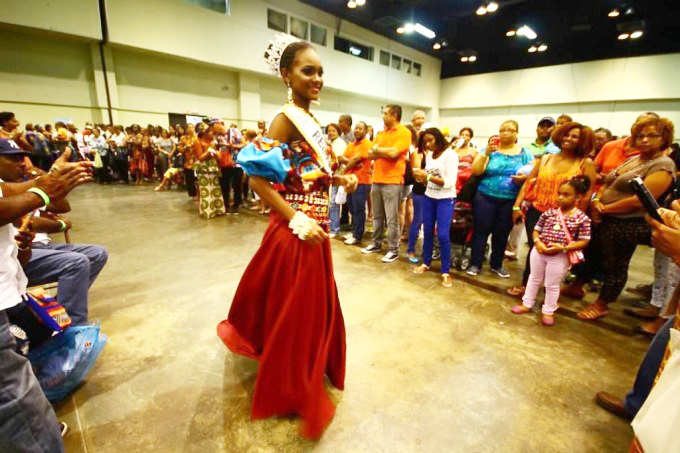 Is it a terribly racist thing to opine that generally the Carnival queens at the Antillean Fair are more beautiful than the city’s other queens? When you consider that beauty is a social construct, and that for a long time a rabiblanco ad cartel has impressed the message upon Panama’s girls that “White is beautiful and you’re not, so you’re not,” the argument to the contrary can be made. Yet black people greatly outnumber white people here. To people with concepts of beauty that are not warped by race, the pool of gorgeous potential Carnival queens among the city’s black population is a lot bigger than the pool of young white women who have more or less comparable qualifications. It’s about the scholarly tradition of waves of migrants to Panama who in general were more literate the population of the isthmus to which they came, and in which to this day parents tend to insist that their kids study hard and learn in school. 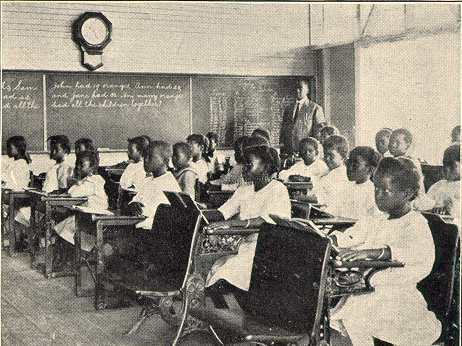 This is an English-language school in San Miguel, circa 1935. It’s about living history, living scholarship, torches being passed on — for example by these and other books that will be on sale at the fair. 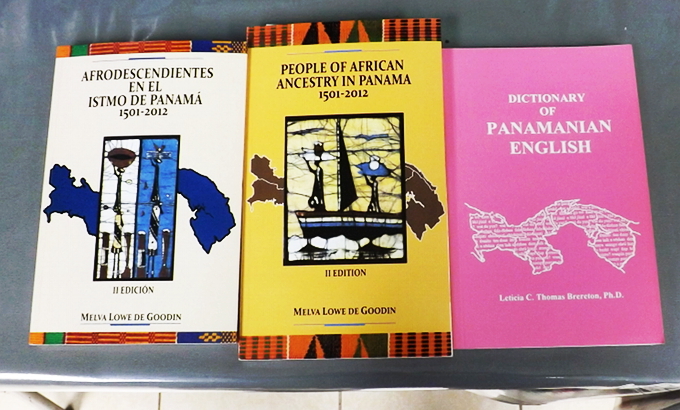 Melva Lowe de Gooden, the author of the history shown in English and Spanish versions here? She was the head of the English department at the University of Panama. 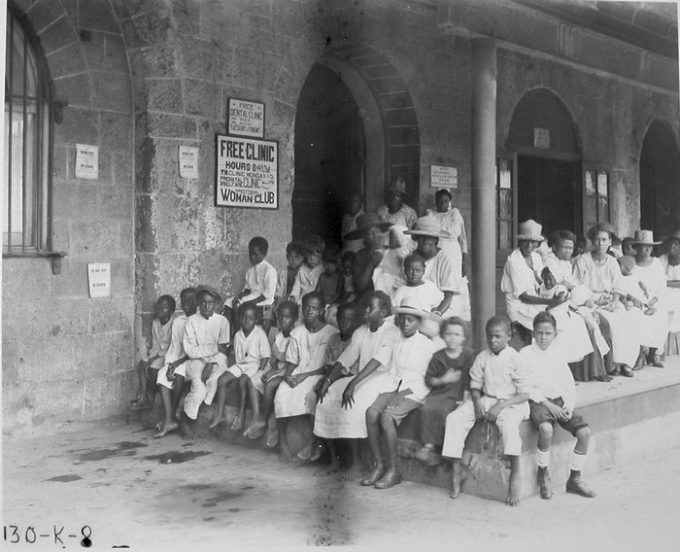 Once upon a time, black canal workers and their families were treated in a different part of what was Colon Hospital than were white canal workers and dependents. That sort of segregation changed,, and out of the community were raised many fine physicians both in Panama and in the United States. Are you one of these folks underwhelmed by the blandness of most Panamanian food? 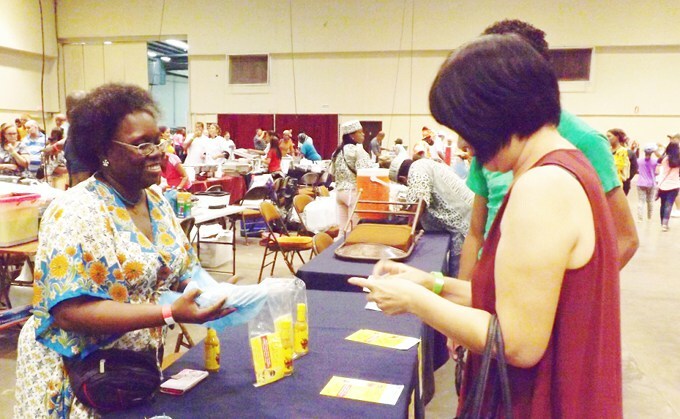 The West Indians spice it up, in their classical way, and you can get the good stuff to do that at the fair, along with a sampling of things cooked that way. 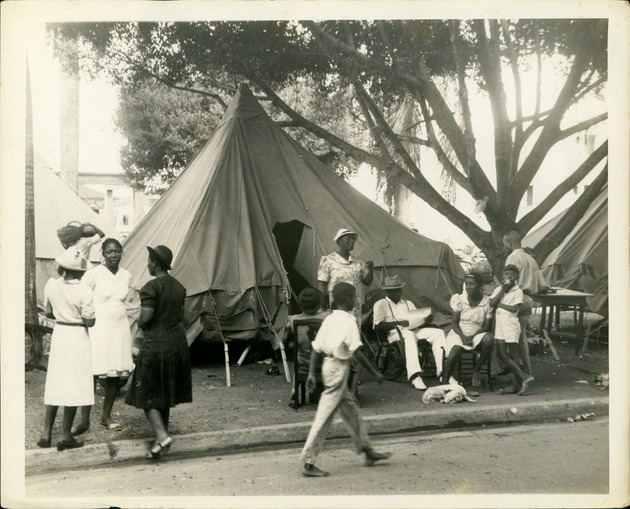 The French surnames have dropped out of usage over the generations, but a lot of the women brought in to do the laundry and clean the hospital wards were from the French Caribbean, places like Martinique and Guadeloupe. 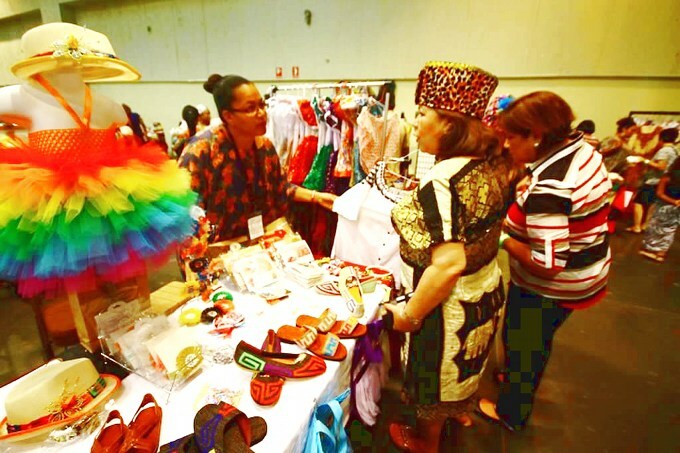 The fair is a benefit for the Museo Afroantillano, which is being renovated. They have a display of construction era women’s fashions at the museum, but at the fair you will find more recent fashion trends. 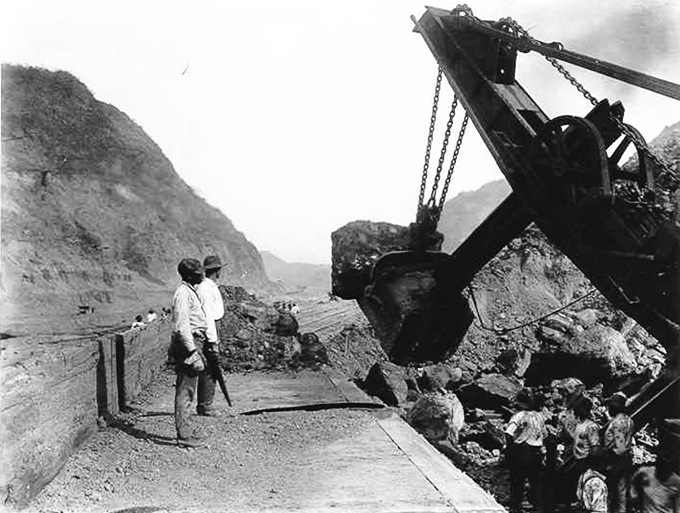 These were hard and dangerous jobs, especially working at the bottom of Culebra Cut, where landslides could and occasionally did bury people alive in an instant. The men working down at the bottom were not all West Indian blacks. There were also some white folks and Asians from Caribbean lands, and many Spaniards, Italians and Greeks on the silver payroll. 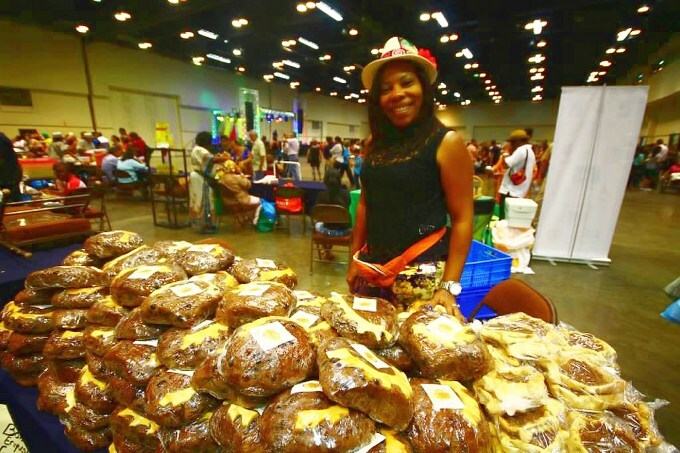 A West Indian gathering in Panama without Jamaican-style buns? Unthinkable! 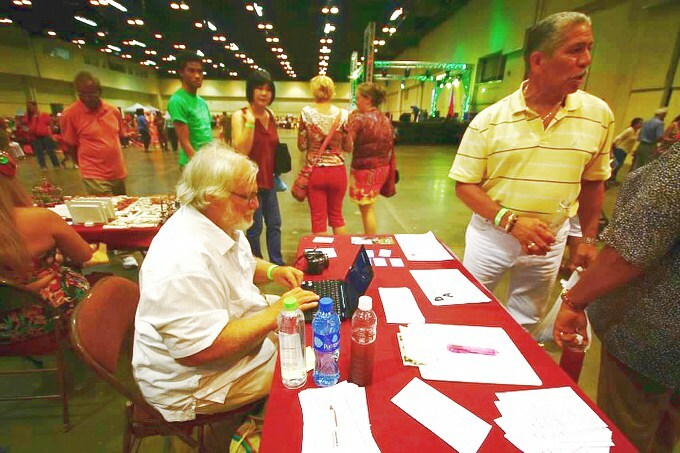 This being a US election year, and quite a few US citizens — mostly dual US and Panamanian citizens — attending the Antillean Fair, there will again be voter registration information and help for folks eligible to register and vote. Generally it’s by absentee ballot in the last place in the USA where one lived, or if one has never lived there but has an American passport by virtue of parentage, by where an American parent last lived. Such voting assistance will be by local Democrats but is available to anyone regardless of political views or affiliations.